Cloudy or clear wort. Cloudy Wort ~ results in higher levels of lipids ~ more oily mouthfeel also adds high threshold of nutty/cereal notes. Malty character – usual in Scotland. Japan tend to produce clear wort. Lauter Tun tends to give clear wort. Got this in Wolfburn. Less cereal notes. 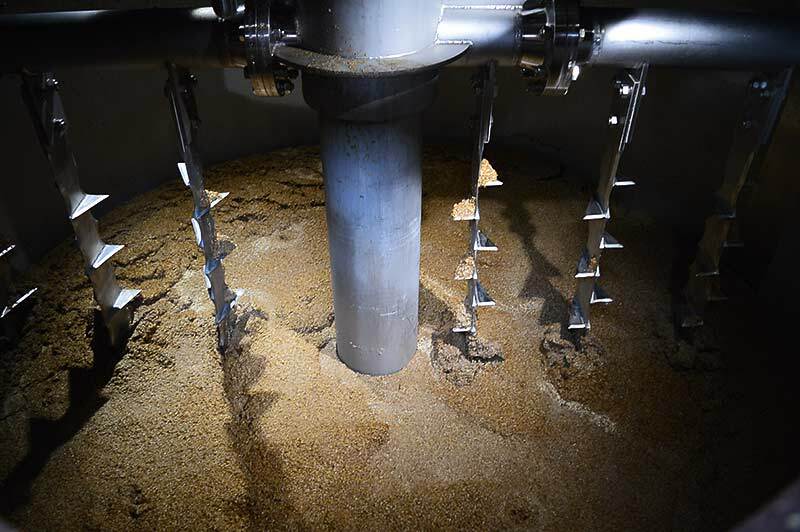 Picture is inside Wolfburn mashtun.